Do you enjoy tales of serial killers, insane crimes, and occasional conspiracies? Then join Janelle and Vicky every other week to talk about all of this and more! As long as it's in Bad Taste... 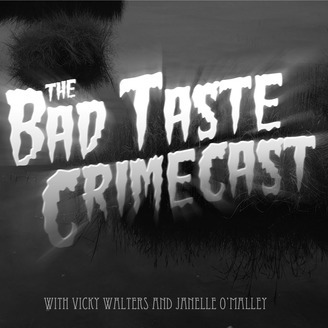 Hosts: Vicky Walters and Janelle O'Malley Sound and Editing: Tiff Weech Theme Music: Jason Zakrzewski. Alcohol is a factor in most violent crime around the world. 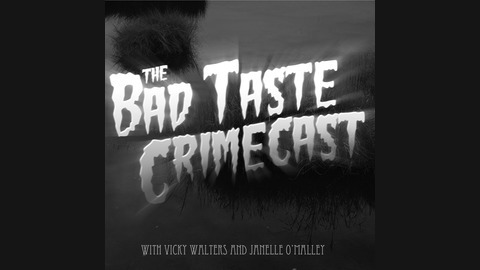 This week on the BTC, Vicky and Janelle examine two of these such cases. And with the help from the boys from Ciderscene, we pair a cider with each murder. Does it work? Well, kinda... take a listen and find out for yourself! A special thank you to Trevor and Nolan O'Malley from Ciderscene. Check out whats new in the cider industry along with top notch recommendations at Ciderscene.com! You can check out the Happily Ever Aftermath podcast HERE! The Bulletin - "Posse catches suspected British Columbia Slayer"
The Ottawa Journal - "Logger charged in savage slaying of eight in BC"
Lethbridge Herald - "Nelson Murder Trial Underway"
Alcorehab - "Alcohol and Crime: Does the Popular Drug Influence Offence Levels?" ThoughtCo. - "Serial Killer Randolph Kraft"
Department of Psychology: Radford University - "Randy Kraft"
Orange Coast Magazine - "Why Isn't Randy Kraft Dead?"